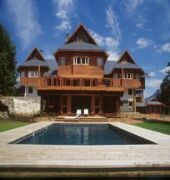 The hotel has a total of 22 rooms and is a large, luxurious and comfortable mansion-retreat of the classic 'Andean style'. 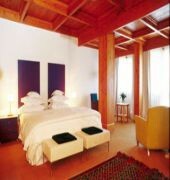 It has large, exquisitely decorated spaces, combining local materials such as rocks, wood and genuine Mapuche handicraft. The main floor has a reception desk, function rooms with large chimneys, a cafe, restaurant and bar, the terrace, a multi-purpose room, and also a spa-solarium with a sauna, a Jacuzzi and direct access to the outdoor pool. The incredible rock basement contains a wine cellar and a warm library. 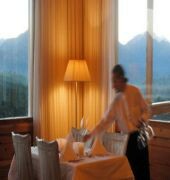 The hotel also offers WLAN Internet access and room and laundry services.This hotel is located in a unique place within the Nahuel Huapi National Park, one of the major Argentine nature reserves. Guests will feel like they have stepped into another world.The second floor of this intimate hotel contains twenty rooms and two suites. 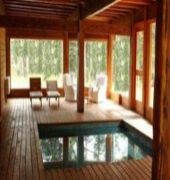 All rooms are en suite and share the same luxurious and comfortable style characterised by the informal simplicity of a first class Patagonian retreat.The hotel has a free shuttle bus to collect passengers from the airport. Guests should provide the hotel with their flight information in advance of their stay to make use of this service.